Wanna stay in hotel just for fun? Wanna enjoy for Free? 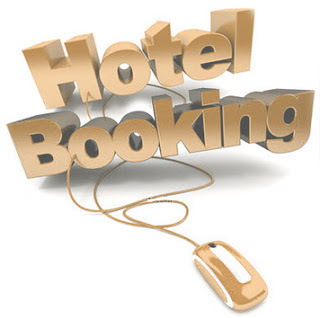 Search a hotel in ur city now and get Rs 800 off. How to get Rs 800 off on Hotel booking? Voila! You have got Rs 800 off. Note: Valid only on HDFC Credit Card. One person can use 2 times. Best Part: There is no minimum Booking amount and no minimum Night stay required. We have posted a article on 10th December 2011 about how to win a samsung Galaxy Note for Free - Click here to check. Winner is declared today by snapdeal at 4:00 PM. Snapdeal's Message: "If one is lucky, a solitary fantasy can totally transform one million realities.” The fantasy has come true for Peeush Garg from Mumbai, who works at Kotak, the winner of brand new Samsung Galaxy Note. Congratulations Peeush! Here’s how we selected Peeush. Congrats! 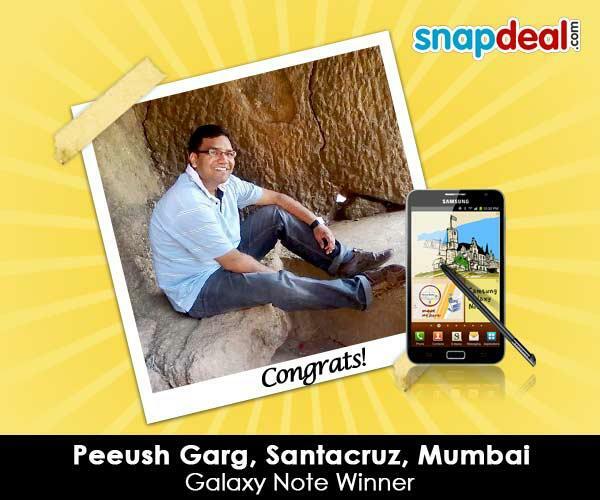 Peeush Garg for winning Samsung Galaxy Note. 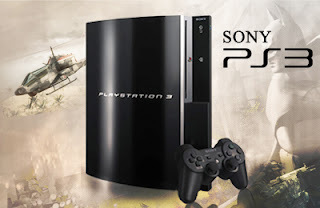 As most of you know, Ankit Batra from New Delhi won iPhone on 6 December and Piyush Modi won the Sony Bravia LCD on 7 December. We received lots of queries about this and we compiled all of them. Here they are, answered one by one. Don't pay, just play! Buy this deal for free and get a chance to win a Sony PS3 with wireless controller! How to win Samsung Galaxy Note for free? Go to Snapdeal Deal page. You dont have to pay anything. Click Complete Order. Snapdeal will get in touch with you if you are the winner.